Two Florida Supreme Court decisions in as many weeks have changed the litigation landscape for thousands of Engle progeny plaintiffs, rendering it easier to prove class membership and recover millions in punitive damages against the nation’s tobacco companies. On March 24, the state’s high court ruled Engle class plaintiffs were not required to know that smoking caused their diseases before a cutoff date in the class action. R.J. Reynolds Tobacco Co. v. Ciccone, SC13-2415. A week earlier, the Court gave the green light for class members to seek punitive damages under strict liability or negligence claims. Soffer v. R.J. Reynolds Tobacco Co., SC13-139. The decisions affect thousands of so-called Engle progeny plaintiffs, whose claims stem from Engle v. Liggett Group, a 1994 class action claim involving Florida smokers. A jury in that case found tobacco companies knowingly produced dangerous, addictive cigarettes and hid those dangers from the public. In 2006, the Florida Supreme Court decertified the class on appeal, but its decision allows individual plaintiffs to rely on the jury’s liability conclusions in the original trial if they can prove the smokers at the center of their cases suffered from nicotine addiction that caused a smoking-related disease before November 21, 1996. However, the opinion’s language raised questions, and created appellate court conflicts, on issues ranging from class membership eligibility to damages. 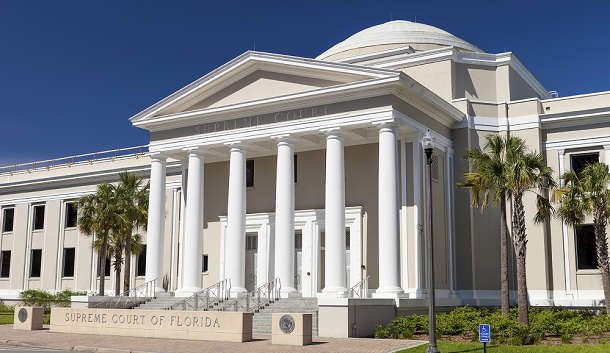 Before the high court’s decision this month, Florida’s district courts of appeal were split as to whether plaintiffs could seek punitive damages on negligence and strict liability claims. That split limited punitive claims to the intentional torts of conspiracy and fraud for many plaintiffs. The appellate level dispute centered on whether Engle progeny plaintiffs were bound by the procedural posture of the original Engle class members who filed suit in 1994. The trial court in that original class action had found the procedural posture of the case barred class representatives from amending their complaint to seek punitive damages on negligence and strict liability claims. The First District Court of Appeal relied on that decision in finding individual Engle progeny plaintiffs bound by the posture of the original class representatives and therefore also barred from claiming punitives on negligence and strict liability theories. Soffer v. R.J. Reynolds, 106 So. 3d 456 (Fla 1st DCA 2012). The Third and Fourth District Courts of Appeal ultimately adopted the reasoning of the First District’s decision, while the Second District reached the opposite conclusion. Philip Morris USA Inc. v. Hallgren, 124 So. 3d 350 (Fla. 2d DCA 2013). While Engle progeny plaintiffs had previously been entitled to recover punitives on fraud and conspiracy theories, those claims require they prove the individual smoker relied on the underlying fraud and conspiracy. By contrast, plaintiffs do not have to show reliance to recover on negligence and strict liability theories. “Juries have been struggling with the reliance requirement for intentional torts,” Shamp said, noting the reliance element could be exceptionally difficult to prove if the smoker at the heart of an Engle case died before trial. Shamp, who won an $11 million Engle verdict last August, said the Soffer decision will likely pave the way for more punitive verdicts across the state. While Soffer opens the door for more punitive awards, the high court’s holding in Ciccone lowers the bar to prove class membership, a prerequisite to recover any award. In 2012, the First District Court of Appeal held a disease manifested itself only when a plaintiff knew or reasonably should have known of the causal connection between tobacco and the plaintiff’s illness. Castleman v. R.J. Reynolds Tobacco Co., 97 So. 3d 875 (Fla. 1st DCA 2012). A year later, the Fourth Circuit reached a contrary conclusion, finding plaintiffs were not required to know of a link between their disease and tobacco use before the cutoff date. R.J. Reynolds Tobacco Co. v. Ciccone, 123 So. 3d 604, 615 (Fla. 4th DCA 2013). In a 5-2 decision written by Justice Pariente, the Court sided with the Fourth District’s interpretation and held manifestation did not require the smoker connect their disease to tobacco use before the cutoff date. In reaching its decision, the Court looked back to its original Engle holding and its discussion of one of the original action’s class representatives, Della Vecchia. “[N]owhere did this Court state that, to establish Engle class membership, Della Vecchia was required to have knowledge that her symptoms were caused by smoking,” the Court noted. “Indeed, there was no indication of when Della Vecchia even knew of her symptoms, and this Court required nothing more than medical records indicating that 'she had been suffering from a tobacco-related disease.'" The impact of the Soffer and Ciccone holdings spread quickly. Last Thursday, Fourth Circuit Court Judge Virginia Norton declared a mistrial in an Engle suit against R.J. Reynolds in the wake of the high court’s decisions. Representatives for R.J. Reynolds and Philip Morris could not immediately be reached for comment. Watch the trials underlying this month's Florida Supreme Court Engle decisions. Learn more about CVN's unparalleled tobacco litigation library.